After an incident at the National Air and Space Museum last year, a college student who uses a wheelchair and his brother have filed a discrimination suit against the Smithsonian Institution which runs the museum, claiming that they were denied access to the flight simulators and were publicly embarrassed. Max Gold, 21, of Merrick, was born with a rare vascular condition that led to his leg being amputated at the age of six, and he has since used a wheelchair as his main form of transport. He was visiting the Air and Space Museum in Virginia last August with his brother, Jake, when he was alleged discriminatory incident took place. According to the Washington Post, the brothers tried to use the museum’s flight simulator, FLY, which is designed to give the rider an “F-18 experience.” When the Golds tried to enter the ride, they were told that the simulator harness “required two legs and since Max only has one,” it was too risky. Max said in the suit that he understood the precautions. Instead, the Golds purchased tickets for the RIDE simulator, which simulates combat scenarios and lets riders control the flight. “Jake prepped me for getting out of my chair, took off my seat belt, took my wallet from around my neck and began lifting me when a supervisor came running over,” Max Gold said to the Washington Post. The supervisor told Jake to put him down, and then proceeded to talk to Jake while ignoring Max, despite Max’s attempts to speak for himself. “It was an assumption that was made that because Max is in a wheelchair, he cannot communicate properly,” Jake said. The supervisor told Jake that Max could only ride the ride if he could get out of his wheelchair on his own and climb up the stairs independently. Though the brothers tried to explain that Jake had been lifting Max for years with ease, the supervisor refused to let them onto the simulator. 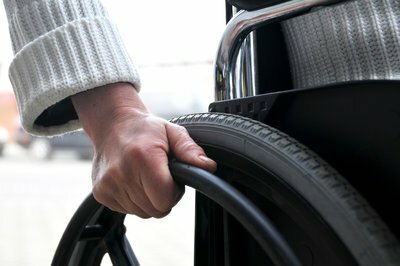 Subject: LongIsland.com - Your Name sent you Article details of "Wheelchair User from LI Files Lawsuit Against the Smithsonian for Discrimination"